George Plimpton gives an auction winner a star-studded walkthrough of legendary NYC eatery Elaine's; rookie reporter Lewis Lapham learns a lot about the world when he has to break some bad news to a new widow; World Boxing Light Heavyweight Champion Jose Torres defines and then conquers fear; Christopher Hitchens is deified in Ceylon (Sri Lanka). Hosted by George Dawes Green, founder of The Moth. The Moth Radio Hour is produced by The Moth and Jay Allison of Atlantic Public Media in Woods Hole, Massachusetts. George Plimpton gives an auction winner a star-studded walk through the legendary NYC eatery Elaine's. Scandal, vice and magnificent hypocrisy: the truth about the press in 1950s America, as seen by a wide-eyed cub reporter. A boxer defines and then conquers fear. A man is deified in Ceylon. Our favorite books by George Plimpton include Out Of My League: The Classic Hilarious Account of an Amateur’s Ordeal in Professional Baseball and Bogey Man: A Month on the PGA Tour. 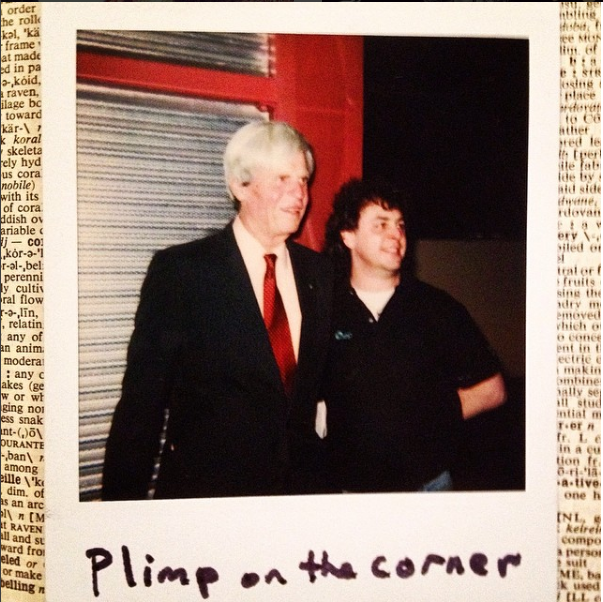 George Plimpton in our 1999 Polaroid album.